I spent all of yesterday creeping through the shadows and stabbing people in the back in Dishonored 2. It’s a damn fine stealth game. Here are some early thoughts on what works and what doesn’t. 1. The stealth gameplay has improved. The first Dishonored was clunky at times. The level design offered multiple paths, but it was easy to discern the best options. The game relied heavily on line of sight: If you were in the path of an enemy, they could perceive you. This created clear pathways that often leveraged verticality as the best option. Enemies are more perceptive in Dishonored 2. They react quickly to sound, look up and around more than the first game, and the game places them intelligently. You will often find that a route to avoid some enemies might lead your towards others. While there are still multiple pathways, none of them stood out to me as the absolute best one. Roaming guard patrols, nests of dangerous bloatflies, and technological hazards made me move through levels swiftly but more cautiously than in the first game. The addition of more elite enemies, such as dangerous clockwork soldiers and magical witches, ramps up the challenge in the later parts of the game. Character powers can compensate from some of the hurdles, but the major onus has been on my own skill as a player. I really appreciate it. 2. Powers are cool but many are unnecessary. This is one of my few complaints about the game thus far. You have the choice to play as either Corvo Attano, the first game’s protagonist, or the Empress Emily Kaldwin. I chose Emily for my first playthrough to explore her new abilities. While she has plenty of unique tricks, more often than not her familiar abilities were enough to get the job done. Like Corvo, Emily has access to Dark Vision. It allows her to see through walls and can be upgraded to view mechanical enemies or traps. I found this to be a requirement for stealth play. She also has a unique movement ability, Far Reach. It functions slightly different than Corvo’s Blink over long distances, swinging her in an arc if used properly. But for short distance hops, it is the same as Blink. Overall, playing as Emily has not felt much different than playing the first game. Emily has access to shadowy doppelgängers and a very neat ability that lets her link enemies’ fates together so that what she does to one also happens to the other. These are excessive flourishes that are highly situational. I often didn’t need to use them because the bread and butter powers are just so damn useful. 3. The game has a great sense of progression. Dishonored 2 never stacks challenges in a way that feels unfair. The most novel level thus far involved a mansion of shifting architecture and highly perceptive mechanical enemies. The level brought to mind the best parts of BioShock’s Fort Frolic. It is charismatic, challenging, and you spend just enough time in it to appreciate the craftsmanship without being overwhelmed. I’ve found that Dishonored 2 has a good attitude towards challenge escalation. The latter parts of the game toss some very unexpected hurdles. In one case, I encountered a witch with infinite respawning demon dogs. Exploration and examination tend to reveal ways of dealing with these problems. In the rare case that your options are not readily apparent, you can usually engineer workarounds of your own. The game progresses with confidence in the player. 4. There are technical issues. We’ve reported on the PC version’s technical problems, and I’m sad to report that the Playstation 4 version has issues as well. They are not as dire, but the game does struggle. The frame rate sometimes takes noticeable hits, and texture pop in is a major issue. I was expecting something with a little more polish. I accepted Dishonored technical limitations at the time but I’m less forgiving here. I wish Dishonored 2 could deliver a smoother experience but it just doesn’t. The game soldiers on admirably in spite of all this. This might be rectified with patches but there were definitely issues when I played. 5. The themes feel more relevant than ever. After events this week, media that examines the nature and distribution of power has a particular resonance. Dishonored 2 is not an apolitical game. It deeply concerns itself with the flow of power on an institutional and individual level. While the base thesis of “Power corrupts” is not necessarily novel, it is expressed in a thematically cogent method through gameplay. It is very easy to abuse your many powers to achieve bloody dominance over your foes. Manipulating time feels good. Teleporting behind someone to stab their body into dusty ash is cathartic. Dishonored 2 offers a world of complications and difficulties and gives you every tool necessary to burn everything down if you so wish. On a narrative level, the game is about reclaiming lost power. Driven from the throne, Emily pushes back against her usurper. Assassination targets vary from those exploited by the system to those who happily participate in it for profit. You must dealt out suitable punishments. Do you kill the inventor responsible for the creation of many deadly weapons, or do you consign him to a life of misery by torturing him until his mind breaks? There are no soft options because justice is not soft. Dishonored 2 seizes on this strength. The player must navigate an unfair and complex world, determining how to use their power and figuring out just what kind of new world they’re ushering in. It’s very good stuff, and it makes a strong impression given current affairs. 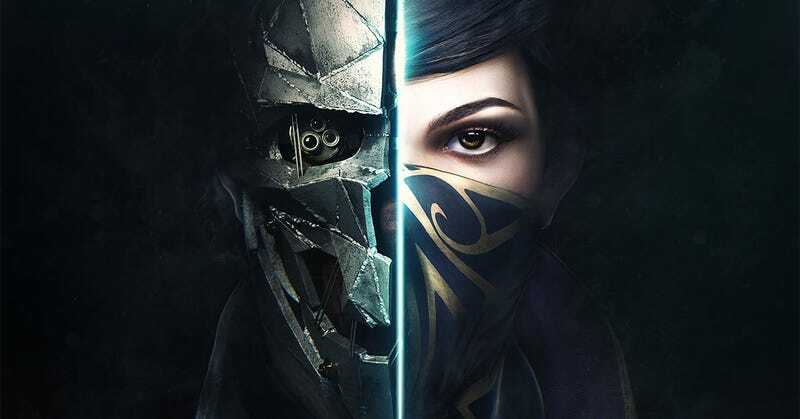 So far, Dishonored 2 has provided a consistently enjoyable experience. It’s shaping up to be of my favorite games for sneaking and exploration. When you’re on a streak of tricky maneuvering and smart power use, everything clicks and the game feels natural to play. You feel badass. I am eager to return to it and very excited to play through multiple times. I’ll have a formal review for you next week.